Sindh Health Ministry’s naib qasid (peon) who was found to be the owner of a company worth millions came under the Federal Bureau of Revenue’s (FBR) watch for tax evasion, a private media outlet reported on Tuesday. After the emergence of several fake bank accounts across the country, this time it is a government employee who has been found to be the owner of a bogus multimillion-rupee firm. Now, it has emerged that a health ministry worker, who has been identified as Muhammad Zahid Nawaz, is the owner of a fake company which he claimed to be unaware of. Nawaz has now been sent an income tax bill of Rs160 million by authorities. 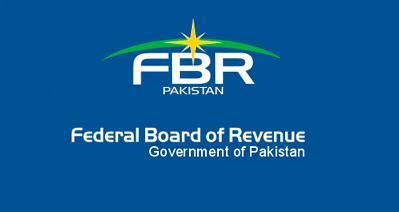 The FBR has now begun proceedings against the accused, as well as, freezing his current salaried bank account. Nawaz, a Korangi resident, reached the Sindh High Court to plead his innocence. On October 15, billions of rupees had been discovered in four bank accounts of a man who had died over four years ago in Karachi. Muhammad Iqbal Ansari, a resident of Shadman Town, had passed away in a hospital located on the city’s Shaheed-e-Millat Road on May 9, 2014. The fake bank accounts were opened in his name after his death. Bank transactions involving around Rs4.6 billion have taken place since then. During the Supreme Court hearings into the fake accounts case, it was found that a rickshaw driver, a street vendor had millions stashed in accounts in their name.